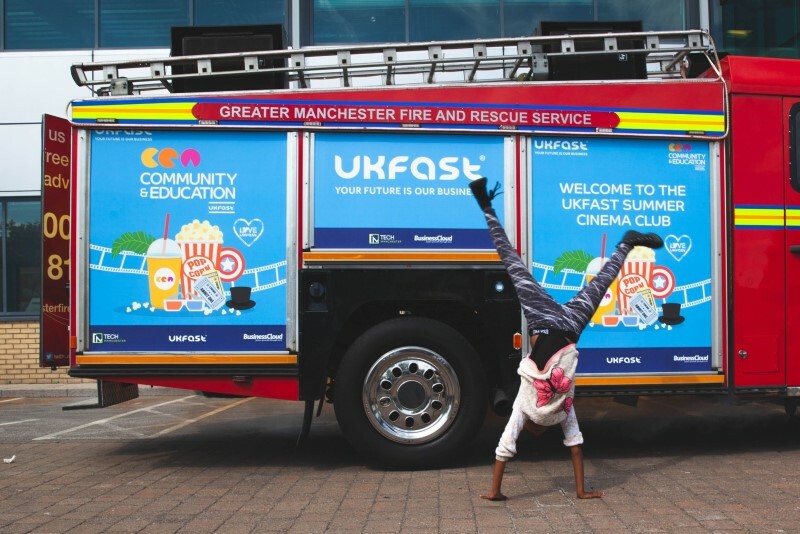 It’s been a wonderful whirlwind of UKFast community events lately! 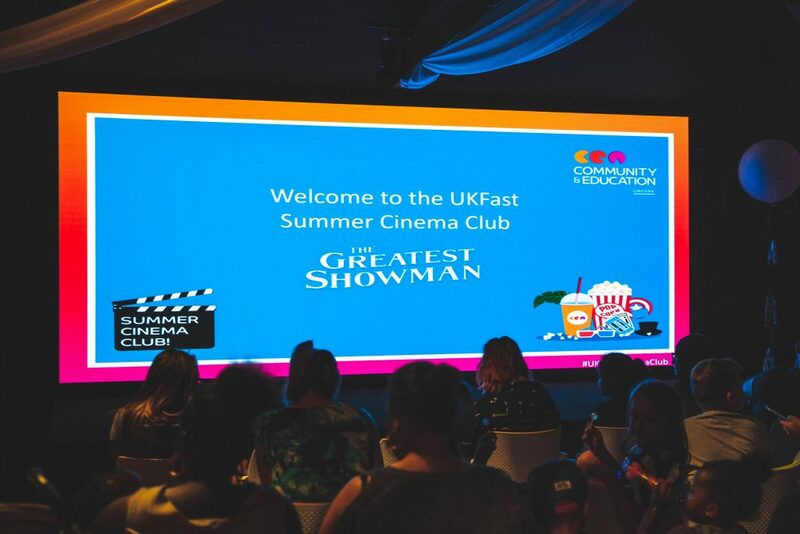 At UKFast, we’re on a mission to support as many worthy projects across the Greater Manchester area as possible, and our latest children’s afternoon proved to be an all-singing, show-stopping event. This Monday, we invited 450 people to join us in our brand-new auditorium to enjoy a screening of The Greatest Showman. The hit new musical has had kids and adults dancing and singing all year, and we couldn’t wait to bring our own sing-along version to UKFast! Children came from across the area, from Trafford Young Carers, Holy Name School, The Fed, Macmillan, Beechwood Cancer Care, Woodstreet mission and Derian House Children’s Hospice in Lancashire, among others, to relax, let go and just have tonnes of fun. Families were greeted by a big top in true The Greatest Showman style! Kids also had their pick of popcorn, candyfloss and drinks for the whole afternoon. 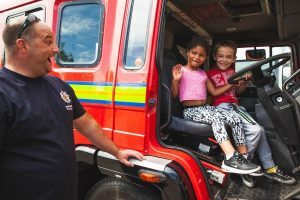 Not only did we have a perfect sing-song afternoon, we were also joined by very special guests Greater Manchester Fire Service who gave kids a ride in their fire engines. We know how hard it is to keep the kids entertained during the summer holidays and how expensive family days out can be. This was the perfect opportunity for families to spend time together without having to worry about the extra costs. We had so much fun, and want to say a massive thank you to everyone who attended and made this a fantastic day out! Find out about how we’re here to help at UKFast! Fun, Festivities, Friends and Family!